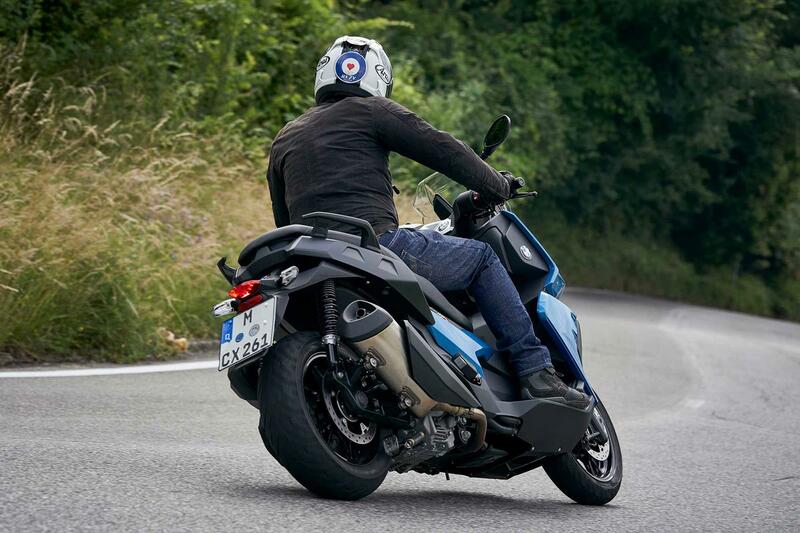 At its inception, BMW claimed the the C400X would be ‘just over £6000’ when it arrived in October 2018, putting it in the right ballpark for its competition, although once you add extras (as with all BMWs...) it will inevitably be the most expensive mid-sized scooter. 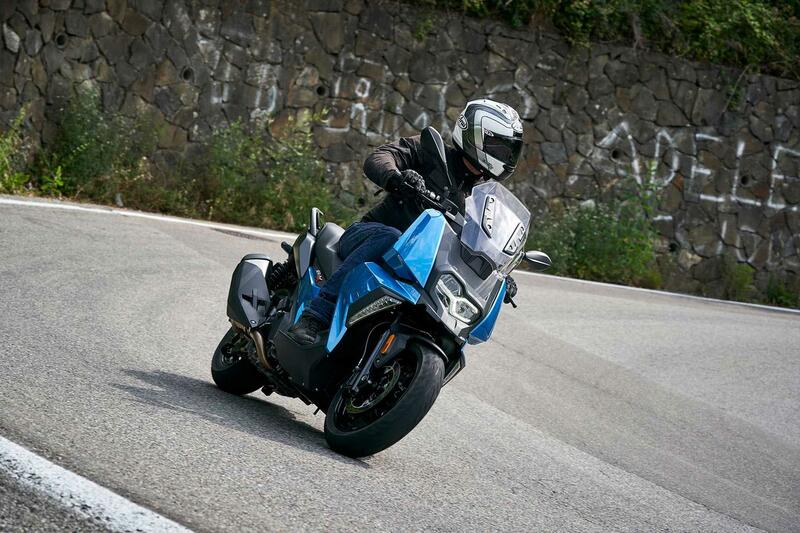 On riding fun and handling it is a winner, but the BMW is lacking a bit in terms of practicality due to its smaller size, which is a downside. 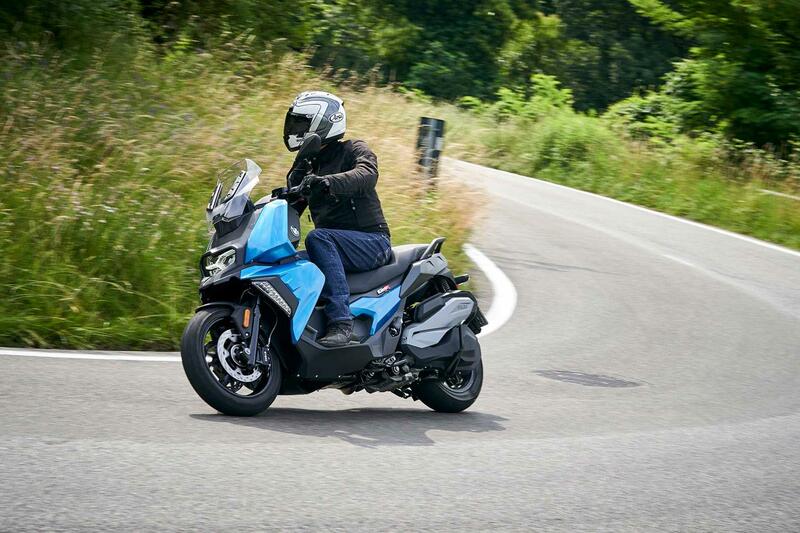 It looks and feels a premium scooter, and has an excellent array of accessories, so it’s down to rider choice what their priority is – agility or practicality. With an excellent turning circle that allows the C400X to easily be U-turned in a road and a light feel, the BMW is at home in town. It’s narrow, so you can zip through gaps and the riding position means your feet are always close to the ground. Although the brakes lack feel, they are strong enough and the ABS isn’t too intrusive. Pulling away on gravel activates the ASC (traction control), which is a bit abrupt when it deactivates and allows the power to kick back in, but works well and is a worthwhile addition. BMW designed the C400X to be a sporty middleweight once out of town, hence the lack of feet-forward riding position, a necessary compromise to keep it short and agile. And it works. On the open road the BMW turns quickly and is fun while at speed it remains stable. The suspension is a bit choppy, especially the shocks, but it’s a comfortable riding position, although a taller screen would be beneficial for extended dual carriageway riding. BMW have tailored their CVT for acceleration and the C400X is nippy off the line, accelerating away from traffic lights with less of the build up of revs than you would expect. This is a BMW product, so you can expect decent reliability all backed up by an excellent dealer network. There should be no horrors and the addition of a stainless steel exhaust is a nice touch. Despite being launched in July, the C400X won't arrive in the UK until October 2018. BMW didn't initially set a definite price for the C400X, however simply said it would cost ‘just over £6000.’ For that price you will get ABS and ASC (traction control) as standard. 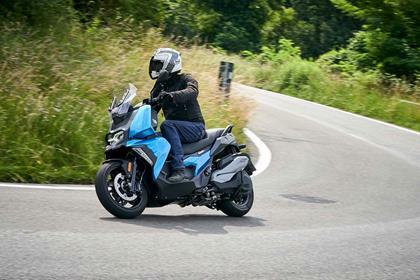 The Yamaha XMAX 400 is £6149 and has ABS, TC, an adjustable screen and a keyless ignition as standard while the Suzuki Burgman 400 relies on just ABS for £6299. If the C400X is ‘just over £6000’ when it arrives in October as BMW claim it puts it in the right ballpark for its competition, although once you add extras it will inevitably be the most expensive mid-sized scooter. 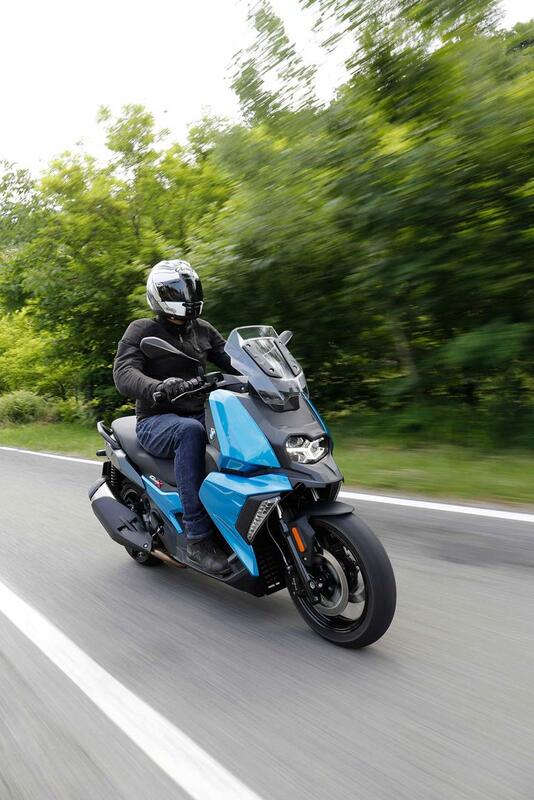 The £5599 Kymco Xciting 400i is smartphone connected and has ABS and an adjustable screen, however the updated S Xciting model, which arrives in August, also has TC. When you add the optional extra TFT dash with its connectivity you are looking at close to £7000 for the C400X, even more with a keyless ignition, so it is a premium model. 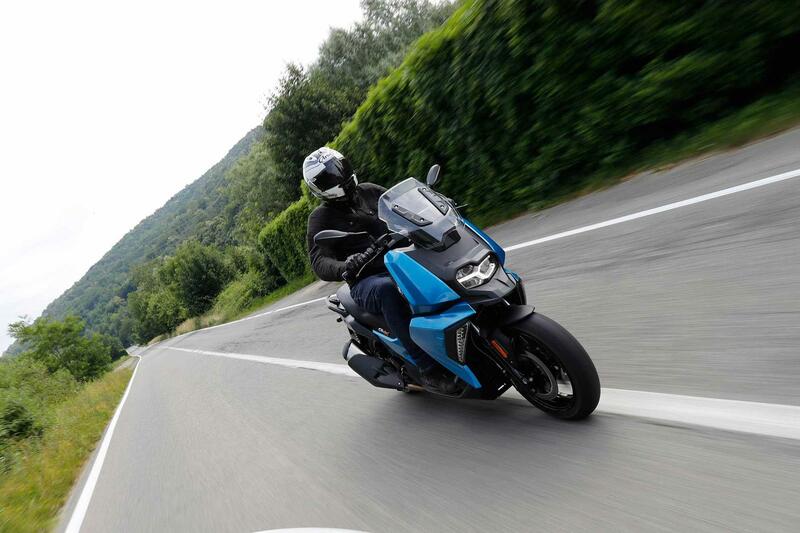 Unlike the above mentioned rivals’ mid-segment scooters, BMW have given their bike more of a sporting edge (it lacks a traditional feet forward riding position to keep it short and agile) and as a result its storage space is a bit more limited. 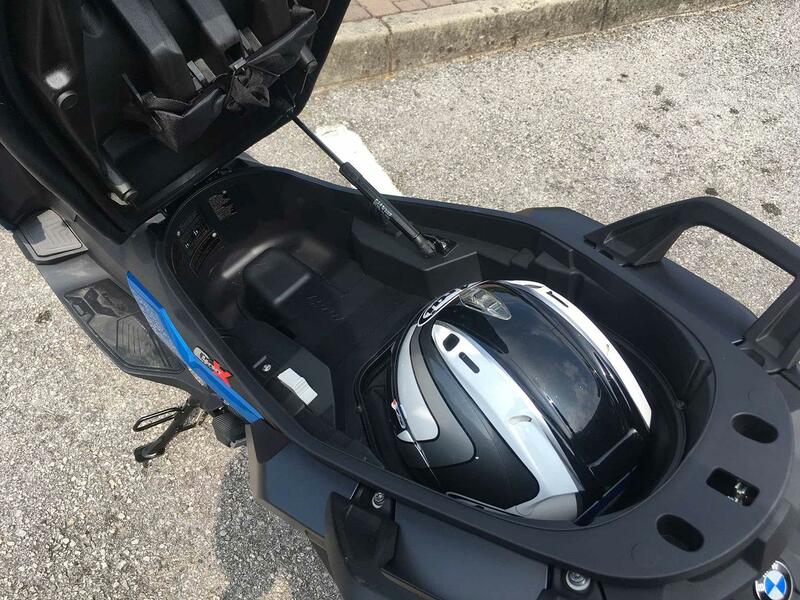 As well as two lockable cubbyholes, the right hand of which also contains a 12V plug-in point, the C400X has enough underseat storage to fit a half-face lid and other items, but it isn’t that generous. You get ABS and ASC as standard on the BMW as well as LED lights, a 12V socket, stainless steel exhaust, centre stand and an immobilisor system, which isn’t a bad level of spec, however as with all BMW models you need to tick the optional extra box to really make the difference. 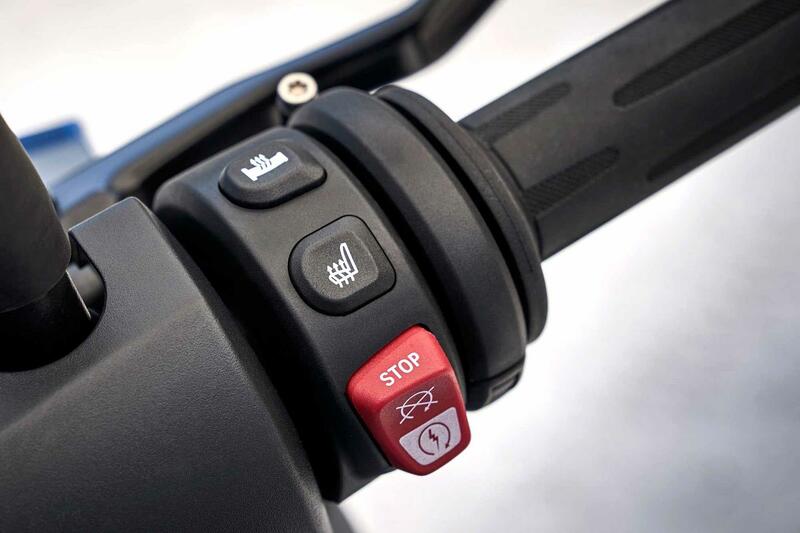 Smartphone connectivity to a TFT dash and a keyless ignition are all optional extras alongside heated grips, an alarm, daytime running lights, a taller screen and lots of luggage options. 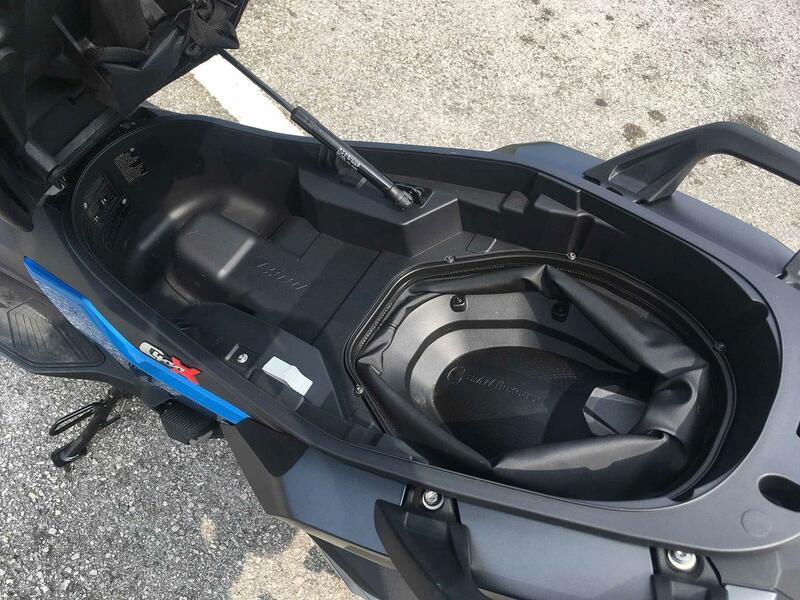 Underseat storage is a bit limited, thanks to its sporting stance, but BMW’s Flexcase system expands the underseat storage area when the bike is stationary to allow it to hold a full-face lid alongside a half-face one. 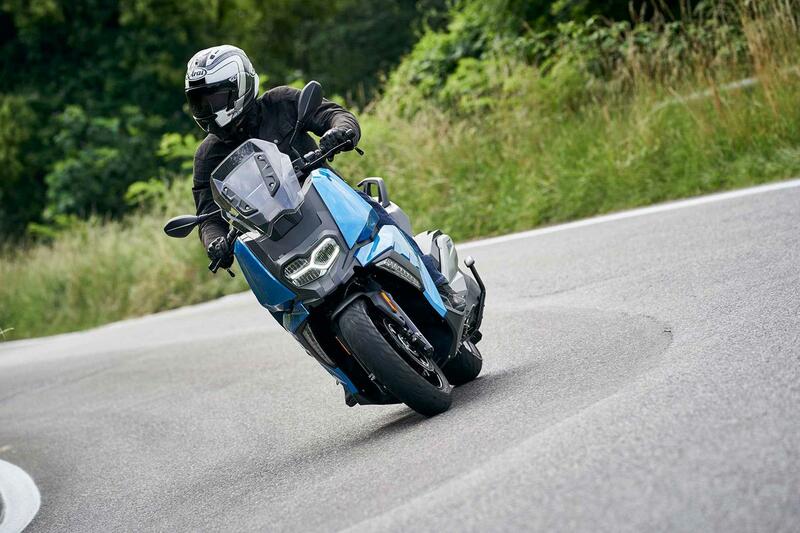 The C400X first appeared on UK roads in late 2018 and is the first middleweight scooter of this kind from BMW. Previously, the German manufacturer have produced a range of 600 and 650 large-capacity scooters, as well as the radical C1 125, which came with a roof that doubled-up as accident protection. In 2014, the firm also introduced the C Evolution, which was the first electric maxi-scooter from a mainstream manufacturer. With a range of 62 miles, it sits as a direct competitor to petrol for those who live in the urban sprawl. 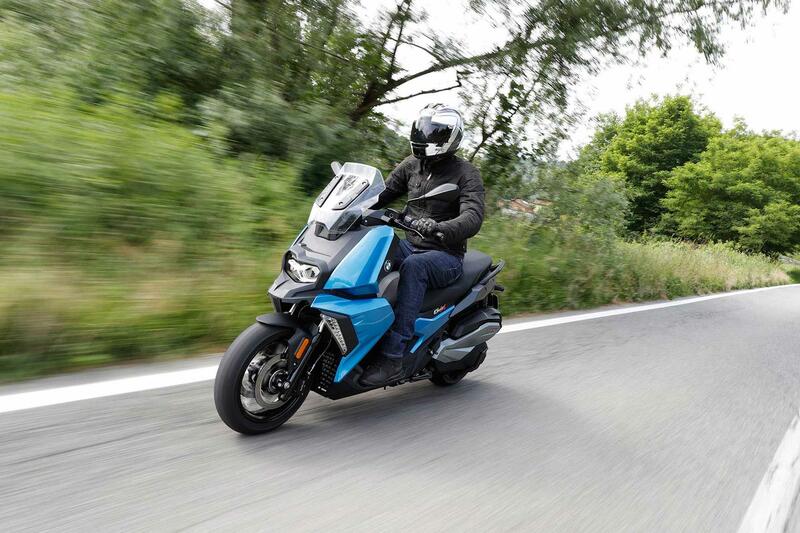 No owners have yet reviewed the BMW C400X (2018-on).